Here at The A.V. 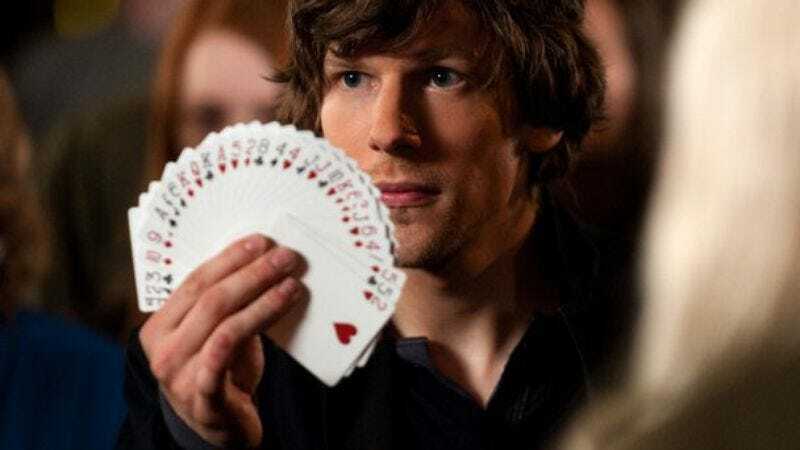 Club, we’ve spent the last few months praying to our various gods that the sequel to Now You See Me—the 2013 heist-ish thriller about magicians—would be titled either Now You See Me Too or Now You Don’t. In fact, it would be impossible to overstate how much we wanted that to happen. No, wait. We didn’t “want” it to happen. We needed it to happen. We work hard here, don’t we deserve a movie to have an incredibly stupid/hilarious title just this once? Apparently we don’t. According to an Instagram photo posted by Mark Ruffalo—who played FBI Agent Who Is Secretly A Magician in the original—the film will be titled Now You See Me: The Second Act. Blegh. To be fair, it’s almost clever, since it’s the second movie and “a second act” could be a thing that happens in a magic show, but come on. Is that really any better than Now You See Me 2? Clearly, this is the biggest disappointment in Hollywood history, and we’re not sure if we’ll ever get over it. It’s really not that big of a deal, though, so let’s just move on. Now You See Me: The Second Act will feature all of the main characters from the original—who were played by Jesse Eisenberg, Woody Harrelson, Dave Franco, and the aforementioned Ruffalo—minus Isla Fisher, who dropped out back in October. We assume it was because of a dispute over the name of the movie, which we would hardly blame her for. Anyway, they’ll be joined by Lizzy Caplan and former wizard Daniel Radcliffe, and the film will be directed by G.I. Joe: Retaliation’s Jon M. Chu.